Rajeev will also be a major investor in the company, acquiring a 20% equity stake in Centum Learning. Centum Learning Limited (“Centum”), the company which operates in the skill development and corporate & vocational training space, today announced the appointment of Rajeev Vasudeva, the former global CEO of Egon Zehnder, as Chairman. In addition to guiding Centum’s future direction, Rajeev will also be a major investor in the company, acquiring a 20% equity stake in Centum Learning. The existing shareholders of Bharti Group will stay fully committed to Centum for its future growth. Rajeev Vasudeva will help Centum build and create an eco-system that facilitates the development of future-ready skills that are aligned with industry needs and ensure a ready market place for these skills. As one of the promoters of Centum, he will chart the direction for aggregating the demand and supply of employable skill by leveraging technology and expanding its partnership with the corporate sector. The current MD & CEO of Centum – Sanjay Bahl along with the senior management team will continue to be responsible for day to day management of the company, and will report to the Board under the leadership of Rajeev. A new, empowered Board will be assembled under Rajeev to further strengthen corporate governance and support Centum’s ambitious growth plans. Rakesh Bharti Mittal, Vice Chairman, Bharti Enterprises said, “Over the years through Centum, we have built a world-class enterprise in the training and skill development domain with a truly global footprint. We are delighted with the appointment of Rajeev as Chairman and a valued partner in this exciting journey. 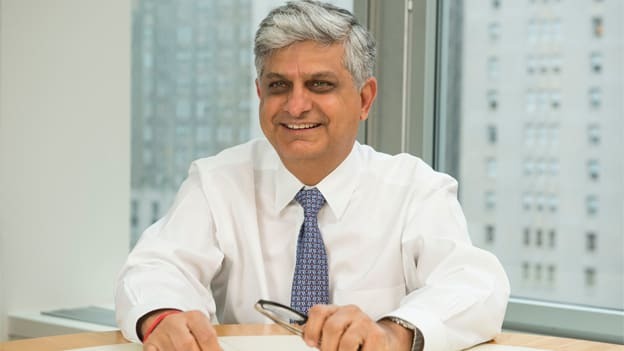 I am confident that his global expertise in the areas of assessment, leadership development and recruitment combined with his trusted relationships with Boards and CEOs around the world and in India will be of tremendous benefit in achieving Centum’s aspirations of being a leading player in bridging the global gap between “availability” and “employability”. In India, Centum has set up Centum WorkSkills India in partnership with the National Skill Development Corporation (NSDC) to enhance skills of youth across the country. Currently, it operates over 130 skilling centers to impart training in multiple sectors like Retail, Automobile, Hospitality, Health Care, Building and Construction, Telecom and Beauty & Wellness, etc. Rajeev Vasudeva started his career in 1995 with Egon Zehnder. In January 2014, he was appointed the Chief Executive of Egon Zehnder and served till October 2018. Prior to joining Egon Zehnder, Rajeev worked as a management consultant with Touche Ross and Price Waterhouse in the US and in India. He is currently based in London.